Do you smell that? It smells like roses to me. 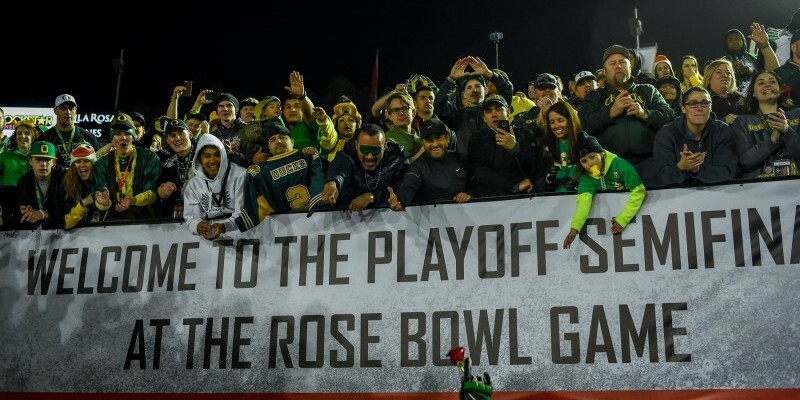 As I fly back to the wonderful City of Eugene, I am so proud to call myself a Duck fan. I am decked out in Oregon gear (again) and ready to see what the players and coaches have to say at press conferences this week about last night’s game and what they need to work on for the national championship match-up. The winning teams of the College Football Playoff semi-final games on January 1, Oregon and Ohio State, all got shirts that said “Won Not Done.” Why hasn’t this been a motto for any football team so far?! It’s genius. The University of Oregon is already a school with programs well known around the world for so many different reasons and now the headlines everywhere are talking about our Ducks. If you simply search Oregon Ducks’ Football, you will see how the world is responding to our dominating win over FSU and our program in general. After (almost) two straight undefeated seasons for the Seminoles, a national championship and some trouble with the law for their star 2013 Heisman winning quarterback, Jameis Winston, our Ducks flew in and shook up their entire world. To talk about just one specific part of this game is actually impossible because although it was truly just another Duck game in the end, it was absolutely incredible. 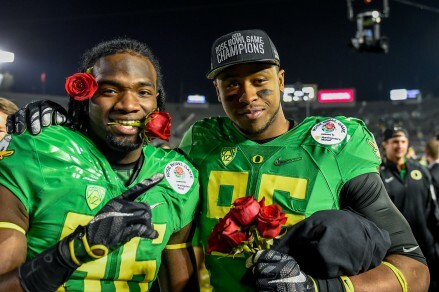 As a Duck fan, tell me that you don’t think about this game and become practically speechless with happiness? Not only do we get to play one last game to try to claim the national championship title and declare ourselves the best, but we also get to watch the already nationally acclaimed best quarterback, Marcus Mariota, play at least one last game in a Duck uniform. I think it is safe to say that anyone, anywhere who has a true love and affiliation with the University of Oregon and our Duck football team, is on cloud nine today for so many reasons. Won Not Done. Come January 12, our Ducks are gonna be more than ready to give Ohio State hell on that field and I can’t wait to watch them do it.